Is Kovu your favourite The Lion King 2: Simba's Pride character या is he your favourite of all the francise? Do आप think Kovu is an even कूलर lion than Simba? Do आप think Kovu was ever really bad? IF डिज़्नी COULD MAKE ANOTHER LION KING WHAT WOULD IT BE FOR? Who does Kovu fall in प्यार with? What vocal song would best fit Kovu? 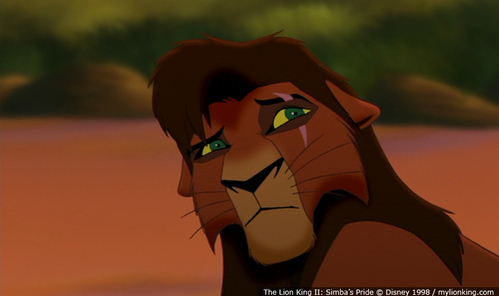 Was Kovu in any other TLK afetr the second? If so what? Why do आप think Kovu became the "Chosen One"? All about Kovu: Our प्रिय character from LK2. The outlanders captured Simba and he thought Kovu brought them. Simba assumed that he would kill him. Kovu hunted and ate Simba's servant.